Rooting Android comes with hundreds of benefits. However, one of the most popular benefits is being able to download thousands of exciting new apps. On a standard Android device, apps have to go through a rigorous certification process before they get listed on Google Play and other Android marketplaces. Certain apps are not available because they compete with apps already offered by the hardware manufacturer, while other apps, the hardware manufacturer doesn’t like them, removing them. To help you get the most out of your rooted Android device, here are the top 10 root apps currently available to users of rooted Android devices. 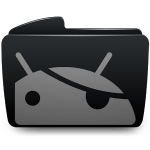 Root Browser is a file manager app which has most of the same functions as Root Explorer but is available for free. Root Explorer may have arrived on the Play Store first, but Root Browser has stolen some of Root Explorer’s thunder by offering the same seamless file management experience without the $3.99 price tag. In our Root Browser review, we’re going to tell you everything you need to know about Root Browser – including why it’s one of the most popular rooted Android apps available today. One of the most popular benefits of rooting Android is being able to block advertisements across all apps and browsers. AdAway is one of the best ways to do that. 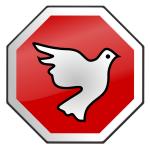 This powerful ad blocker comes with a number of unique advantages. Read our AdAway review. One of the most annoying parts of getting a new smartphone is removing all the unnecessary system apps from your home page. 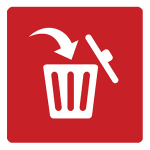 System App Remover wants to help you instantly remove those apps from more than just the homepage: it wants to help you safely and quickly uninstall all of those annoying system apps you never use. 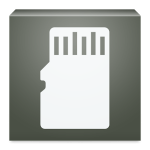 For some bizarre reason, Android 4.4 KitKat disabled the ability to write files to your microSD card. SDFix aims to fix that problem. This root-only app provides an easy fix for MicroSD writing problems. It restores the ability that KitKat took away simply by changing a line in one single configuration file. 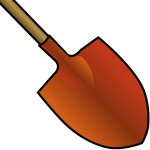 DiskDigger is one of those apps that you’ll probably never use until you really need it. DiskDigger lets you recover lost data that was corrupted or accidentally deleted. It can undelete and recover lost photos from your camera’s internal memory, for example. If you just reformatted your memory card or accidentally deleted a photo, then DiskDigger is usually the best way to get it back. 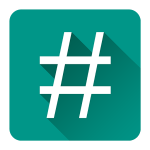 SuperSU is one of the world’s most popular root-only apps. It acts like a security guard for your phone, helping you manage app permissions and ensure apps don’t overstep their boundaries. SuperSU is a great way to ensure that malicious apps don’t have admin-level access to all levels of your device. At the same time, it lets trusted apps go about their activities without bothering them. SuperSU is a friendly security guard which walks softly and carries a big stick. 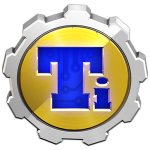 Titanium Backup is a root-only Android app created by Titanium Track. It's the best backup app currently available for Android. You can back up virtually every byte of data on your device, including unique app data, user data, and more. Greenify is one of the reasons why rooting your phone can save so much battery life. 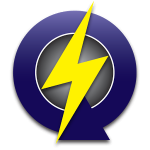 Greenify can boost battery life by an average of 2-4 hours simply by intelligently managing how apps run in the background. 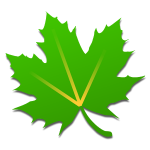 Available on both rooted and non-rooted devices, Greenify is one of the world's most popular rooted apps. It works much better when installed on a rooted device. No matter which device you install it on, Greenify will hibernate background apps. When an app hibernates, it stops running in the background. It won't deliver notifications to your phone and it won't silently steal RAM or CPU cycles. To activate this app again, all you have to do is tap on it - just like you normally would when opening the app.